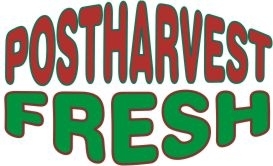 Postharvest Fresh has personnel with extensive experience in horticultural postharvest and fresh food research and consulting. The main services offered to the fresh fruit and vegetable industry are :- advice and research for specific problems, evaluation of postharvest technologies, storage and handling software, assistance with commercialisation, patents for licensing, expert witness and cargo loss. It have access to a wide range of equipment and facilities for conducting postharvest and fresh food research and consulting.